Shoregirl's Creations: Let it Snow! Trying to wrap up my Christmas gifts. 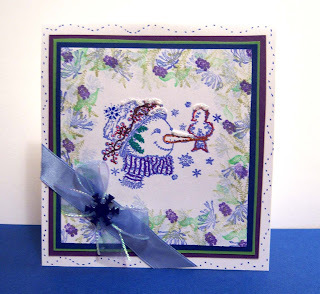 I made a set of these for a friend that LOVES snowmen and hinted that she'd like some snowmen cards for Christmas! 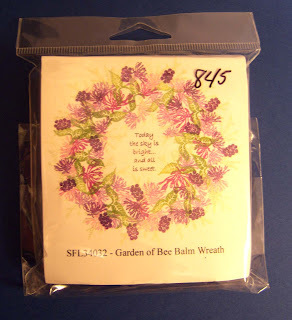 A set of five stamps that you use to build wreaths, swags, borders etc. Matted the stamped image three times, added a little color with markers, placed a ribbon/bow/snowflake brad in the corner and wa - la -- all finished! Oh, forgot to add that I used Liquid Applique and glitter to make the snow on top the snowman. One more gift checked off the list!